Our girls table tennis team should be very proud of their achievement this year. 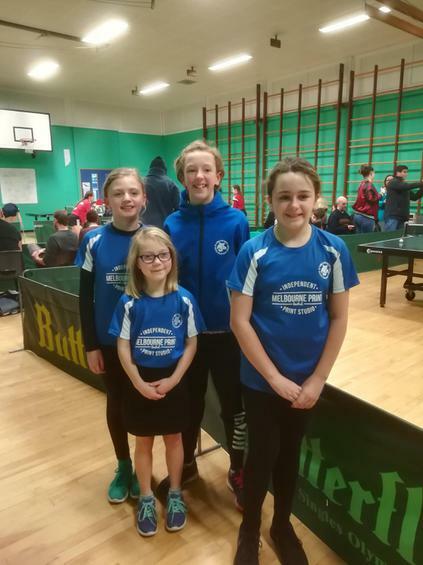 This is the first time MJS has ever had a girls table tennis team and to finish within the top 16 schools in the country is an incredible achievement. They travelled to St Bedes College, Blackburn on Saturday 3rd February to compete in the Butterfly National Schools Team Table Tennis Regional Finals. They were one of 16 teams around the country playing at different regional venues seeking to qualify as the top 8 schools and go on to the National Finals. Despite winning their first match convincingly 7-1 and then drawing their next two matches 4-4, that was not quite enough to see them through to the final stage of the competition. They finished in a very commendable 2nd place without a loss. Simon Price, Burton & Uxbridge TT Club and the girls' coach, said, "The girls have far exceeded our expectations in reaching this far and to only miss out by one game is a superb performance. They have all made such progress and we couldn't be more pleased for them and how they have represented the school." We would like to especially thank Simon, Nigel Webster, Melbourne Swifts TT Club and parents for their support to the girls. Another super achievement for TEAM MJS!